Summers are More Fun in Costume! It's summer time and the kids are home, what better way to spend the time than dressing up in costume? Kids have a blast playing super hero or princess and it sparks the imagination. Playing dress up is a great way to spend a rainy summer day or just stay inside and beat the heat this summer. How about a dress up tea party play date or a superhero costumed play date? The kids will have a blast and parents will have some really great photo opportunities to share. Visit Our New Amazon Store for the Lowest Costume Prices! Introducing our new Amazon Store! 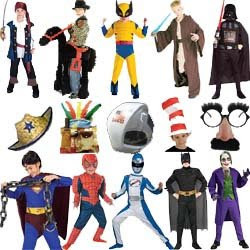 Featuring low, low costume prices with the same great quality and fast shipping we are known for. We have been slashing prices online all year on all of our websites. 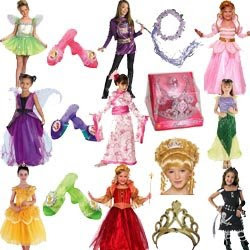 And on AnniesCostumes.net you will find even lower, closeout costume price deals! Visit today and have some great summer fun with dress up costumes for kids that will inspire their imaginations!